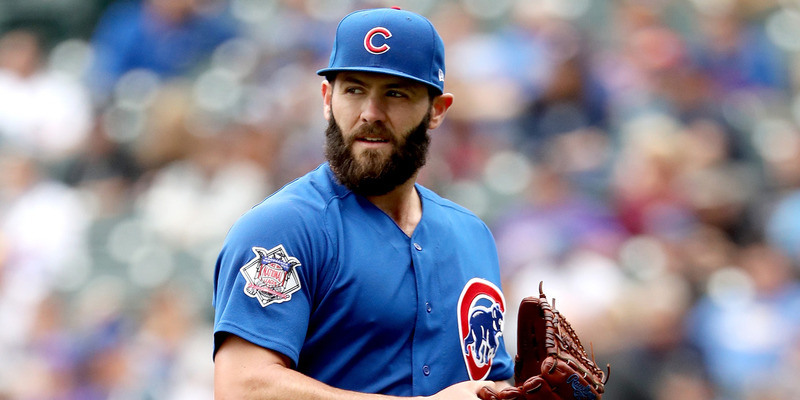 Matthew Stockman/GettyJake Arrieta, one of the biggest names in baseball, is still a free agent as spring training begins. MLB’s free agency has unfolded in bizarre fashion, with some of the top players getting signed late in the offseason or not at all. At the heart of the situation are some of the most divisive topics in MLB – tanking and analytics – with the league, team, and players pointing fingers. While accusations of collusion swirl, no one is quite sure what to make of the situation. About 30 disgruntled free agents trekked to Bradenton, Florida, this week for an unusual spring training camp. The camp is not being hosted by a team, but by the MLB players union, hoping to keep jobless MLB players active and in-shape while they wait and hope for a contract offer or camp invite from a team. It’s the latest chapter in MLB’s free agency saga, which has seen some of the top players get signed late in the offseason or not at all. As of Friday, according to ESPN’s MLB free agent tracker, about 60 players still remain on the market, nearly one-third of the free agent class, including big names like Jake Arrieta and Mike Moustakas. “I have no idea what the hell is happening,” said MLB agent Joshua Kusnick. Kusnick said he entered the offseason with six free agents and has gotten three of them deals so far. “It’s disheartening. That’s a good word,” Kusnick said. At the heart of the issue are some of the most divisive topics in MLB – tanking, analytics, and collusion, the latter of which has been a problem for baseball before. The debate has seen both parties finger-point over an unusually cold “hot stove” season. Slowly, some of the top free agents have found homes, but vitriol was strongest in February, when notable agent Brodie Van Wagenen alleged collusion by MLB teams, threatening a work strike if teams did not spend more to sign free agents. Later, the MLBPA executive director Tony Clark released a statement saying that the lack of signings, despite “records highs” in revenue, threatened the integrity of the game. The comment drew the ire of agents like Kusnick, who questioned why MLB was commenting on reported deals – the MLB’s collective bargaining agreement (CBA) forbids the commissioner’s office and the union from commenting on the value of players or possible deals. MLB’s statement also noted the role of analytics in the stagnant free agent market. Teams have fallen back on analytics as one of the biggest reasons why so many free agents haven’t been signed. Teams now have internal projections for how much a player can be expected to produce on the field and how much that is truly worth. Gone are the days of teams paying high prices for production that never really comes. One team executive pointed to widespread front office turnover in recent years and the shift toward younger, more analytically driven front offices. This offseason, that shift has coalesced into a league-wide movement. “The dynamics of signing contracts changed so dramatically in recent years,” said Murray Cook, a scout for the Detroit Tigers and former GM of the New York Yankees and Cincinnati Reds. Some, like Kusnick, remain sceptical. On Tuesday, February 27, The Tampa Bay Times reported that the players union filed a grievance against four teams, the Miami Marlins, Tampa Bay Rays, Oakland A’s, and Pittsburgh Pirates, for not spending revenue-sharing money to improve the on-field product, a rule in the CBA. This offseason, the Marlins, Rays, and Pirates all traded star players in Giancarlo Stanton, Evan Longoria, and Andrew McCutchen, respectively. The Marlins, in particular, have come under fire for stripping down payroll in an effort to rebuild. According to The New York Times, Clark said this offseason that it’s not just one or two teams rebuilding and avoiding spending, but 10 teams, or one-third of the league, are not actively trying to win. Teams view the idea of tanking differently. Cook said that tanking does not exist – teams never intentionally lose, but everyone eventually has to rebuild. The Astros famously stripped their roster, focusing instead on building up their farm system and developing young players, going 162-324 over three years. After three years of losing, they built back up and won the World Series in 2017. MLB Commissioner Rob Manfred also disagreed with the term “tanking,” telling reporters that each team wants to win but rebuilding is sometimes a necessary step. Analytics play a part in tanking or rebuilding, too. One team executive said that internal projections show that signing star players to big contracts can be overrated – that the extra 2-3 wins a player can add is not worth it from a revenue standpoint. The shift in thinking has turned draft picks into a higher commodity. Teams would rather develop draft picks, which are cost-controlled and under team control for longer. Signing a top free agent like Arrieta, for instance, would require giving up a compensatory draft pick to his former team. Not everyone has agreed with Wagenen’s suggestion that there could be collusion on the part of MLB teams. Even Kusnick, who was animated about the subject, said he doubts collusion is actually occurring. The team executive said nothing has changed internally about team-to-team competition. Still, Kusnick is baffled at how the market unfolded. The bigger hurdle on the horizon is labour negotiations – the CBA expires in 2021. The league and its players have enjoyed a peaceful relationship for years, but the dramatic shift seen this offseason could threaten the relationship. Manfred tried to brush off those fears in February. “I am a long-term thinker when it comes to labour relations,” he said. “We have had an extraordinarily positive working relationship with the MLBPA over most of two decades. The fact that we’ve had some positive relationship over that period doesn’t mean that there are not topics of which we have had disagreement – some of them more serious than others. In Bradenton and across the country, that hostility is growing the longer notable players sit at home waiting for an offer.